← Soup or Chili? In a bowl with spoon, doesn’t matter. Trials and tribulations of finding a cornbread sweet and full of flavor and not a dry block of gritty corn. Success!! Taking a great photo of said cornbread- Work in Progress. I’m battling with the early sunset of Daylight Savings and lack of natural light this time of year! I have tried countless recipes- for a long time opting for Cooking Light recipes because a girl has to try to shave some calories somewhere. 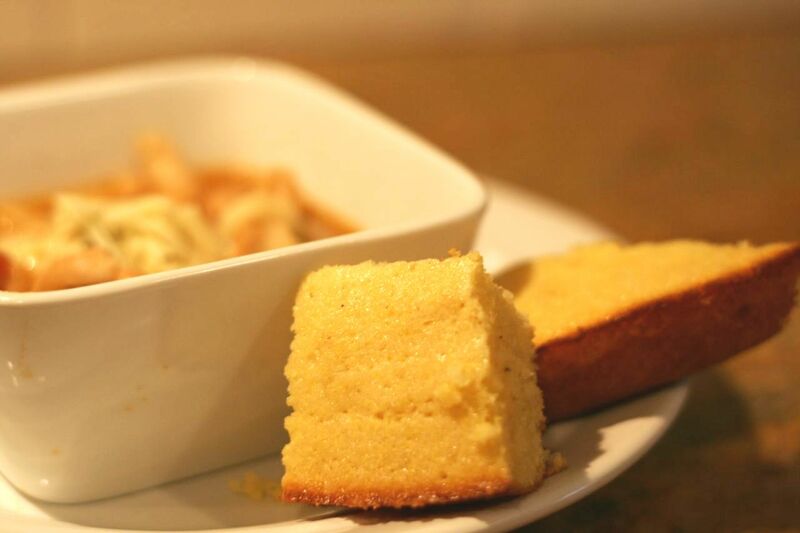 Personally, when it comes to cornbread the butter really is worth it. This is a recipe I found on Allrecipes years ago. Click here for a Printable Version from Allrecipes: Grandmother’s Buttermilk Cornbread has become a staple in my binder of make-again recipes. Preheat oven to 375 degrees F (175 degrees C). 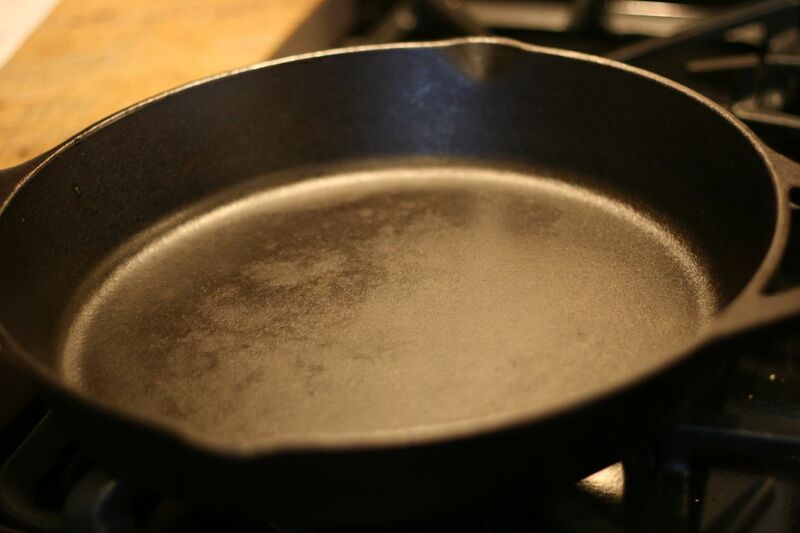 Grease an 8 inch square pan. I use a cast iron skillet. Take good care of your cast iron, it will take good care of your food. 2. Remove from heat and stir in sugar. 3. Quickly add eggs and beat until well blended. Stir quickly so you don’t have scrambled egg cornbread. 4. 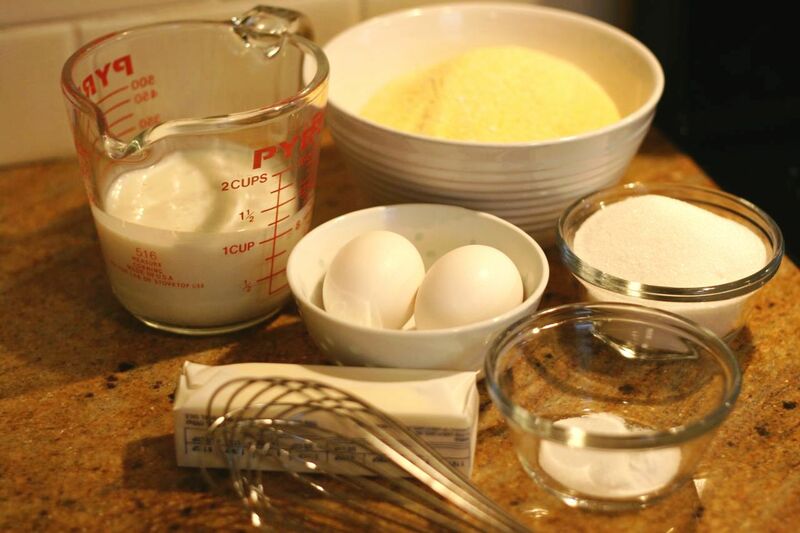 Combine buttermilk with baking soda and stir into mixture in pan. 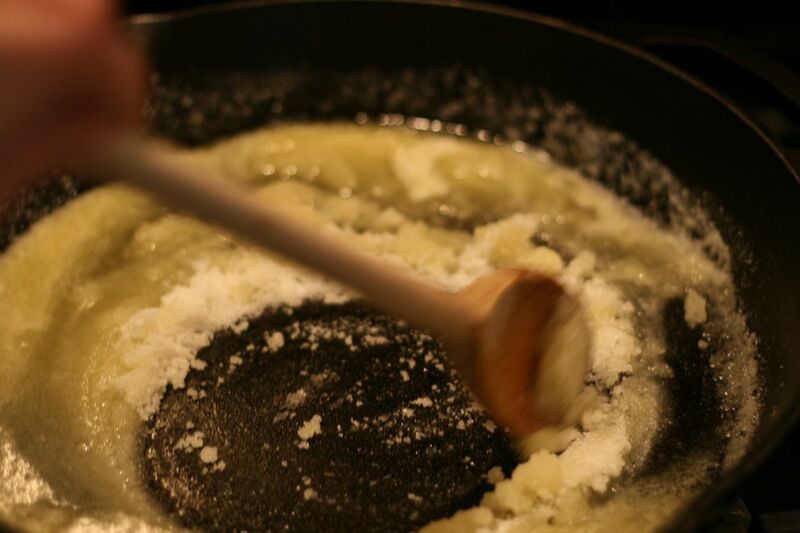 Stir in cornmeal, flour, and salt until well blended and few lumps remain. 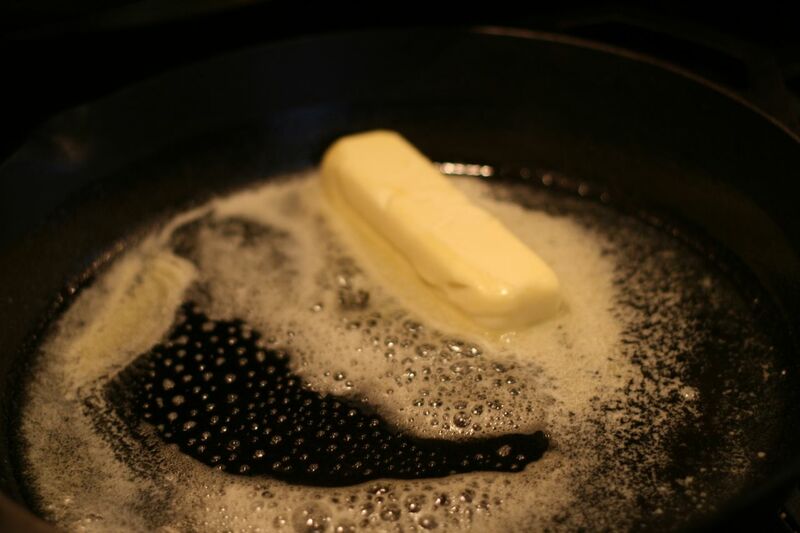 Pour batter into the prepared pan. 5. Bake in the preheated oven for 20 to 30 minutes, or until a toothpick inserted in the center comes out clean. Check it at 20 minutes, depending on your oven and the pan you use. The cast iron skillet tends to bake the cornbread faster than a glass dish. Best served warm. If using the next day, warm it up in the oven at 200 degrees in some aluminum foil. Another freezer-friendly recipe- Wrap leftover bread in aluminum foil and then put in a freezer bag. Thaw and rewarm before serving. Enjoy! This entry was posted in Bread & Baking and tagged bread, cast iron, cornbread. Bookmark the permalink.